A Tradition of use for helping the Heart to function better. Improves circulation. Helps with Toxic accumulation in the matrix with foci (focal disturbance) in heart and endothelium. CARDINORMA - Support for cardiac insufficiency, heart muscle weakness, angina pectoris, arteriosclerosis, extrasystole, tachycardia, cardiac spasms. This medication also specifically improves circulation of the coronary vessels, increases O2 utilization and helps the body deal with exogenic intoxification and other underlying causes of heart disease, making it a useful adjuvant therapy for treating severe cases or elderly patients. 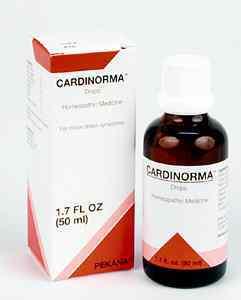 CARDINORMA drops helps protect the heart from damage due to acute or chronic illnesses. beneficial adjunctive remedy for cardiac insufficiency, heart muscle weakness, apoplexy, angina pectoris, arteriosclerosis, extrasystole, tachycardia, cardiac spasms, and increase O2 utilization. Neu-Regen to support the overall vitality, although the 2 remedies may need to be taken at separate times rather than mixed in the same glass of water. SyCircue and Firmus for detoxification of the endothelium. ALWAYS CONSULT A PHYSICIAN FOR HEART AND CIRCULATORY PROBLEMS!! 10 to 50 drops taken 2 or 3 times per day. Often included in short term protocols (1 to 6 months) for removing circulatory blockades and detoxifying accumulations in the endothelium. In cardiac decline with aging or in early congestive heart failure, can be used long-term. DISCLAIMER: The following discourse is based on the work of Dr. Gunther Enderlein and the theories of PleoMorhpism. This information is presented for educational purposes only and do not constitute a medical opinion or necessarily the opinion of this website. Heart and circulatory problems such as high blood pressure indicate a pathogenic, systemic condition that the body is unable to cope with successfully by itself. Degenerative conditions weaken the heart muscle and allow pathogenic fungal forms of Mucor racemosus Fresen to develop from the membranes of erythrocytes. 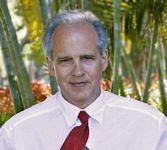 These endobiontic forms eventually cause the red blood cells to agglutinate, leading to a host of heart and circulatory system problems, including apoplexy or heart attack. The combined use of CARDINORMA drops with MUCAN drops directly works to alleviate this condition. PLEASE CONSULT YOUR DOCTOR!! Carbo vegetabilis 8X plays a key role as a preventative for cardiac collapse, especially due to anomalies of the digestive organs such as Roemheld's syndrome (gastro-cardiac symptom complex or painful excess-gas buildup). In addition, it benefits myocardial weakness, alleviates cardiac insufficiency and improves O2 utilization. Kalium carbonicum 4X allows the heart to achieve its natural maximum performance during acute and chronic illnesses without causing side effects. In addition it can benefit myocardial insufficiency, irritable heart symptoms, pulse anomalies, muscle weakness and circulatory system blockages . A toxic load can lead to symptoms that range from weakness of the heart and cardiac insufficiency to myocardial infarct. Lachesis mutus 8X provides support for both latent and diagnosable septic conditions in the blood, infections that have not been completely healed and dental infections that burden the body without causing any visible symptoms. It protects the heart from infectious tendencies that can lead to endocarditis and myocarditis, enables the heart to fully use oxygen and improves the efficiency of the blood vessels. Oleander 4X is highly effective for reducing the threat or presence of angina pectoris, cardiac insufficiency, infarct, stabbing cardialgia and apoplexy. In addition, it benefits intestinal dysfunction -- such as constipation alternating with sudden diarrhea -- that can adversely affect the entire circulatory system and lead to a racing heart, sleeplessness and urological problems. Oleander provides benefit for extrasystole and low blood pressure, and helps regulate the metabolism. Tabacum 6X combats circulatory system weakness and complements Oleander in regulating a weak pulse, thereby providing benefit for angina pectoris and pathogenic sclerotic changes. This plant's anti-spastic properties benefits conditions of the intestinal and urological tracts. Beneficial effects on metabolic processes also help ease stress on the heart and eliminate spasms that could lead to impending collapse. Boldo 1X, which acts as a powerful stimulant for the gallbladder, also functions as a diuretic to relieve congestive heart and circulatory system blockages. This medication promotes stomach secretion and elimination of urea, and secondarily provides support for dyspepsia and hepatogenic gastritis that affect the heart. The cumulative beneficial effects of Crataegus oxyacantha 1X on the heart and circulatory system remain unsurpassed in prevention of cardiac insufficiency -- without any harmful side effects. This herb also improves the patient's blood pressure and relaxes the blood vessels to help the heart heal. These indications are according to a long tradition of use.